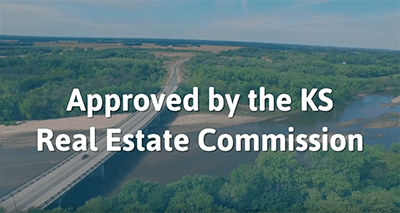 We are approved by the KS Real Estate Commission as an online CE provider. Complete your continuing education to renew your KS real estate license today. All of our courses can be completed At Your Pace online in order to help you maintain your license. Once you finish your class you will have an official certificate of completion available and we will report your course completion to the commission for you automatically. Most licensees are required to take 12 hours of Continuing Education every 2 years, the type of education required will vary based on the type of license held. 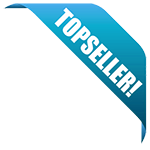 Salespersons: Required to take a 3 Hour Salesperson and Broker Core Course and 9 Hours of Electives. Brokers: Required to take a 3 Hour Salesperson and Broker Core Course, 3 Hours of Required Broker Core and 6 Hours of Electives. This dual-license course provides those who are licensed in both Kansas and Missouri with the 3 hour core continuing education subject matter necessary to renew both licenses. It covers topics dealing with financial reports, brokerage policies and procedures and Broker Supervision and Escrow Account Management. The Kansas-Missouri Broker Package provides the student with 12 hours of the continuing education information and subject materials applicable to a broker's real estate license renewal. The course covers topics including listing agreements, real estate valuation, financial management, private and public financing, office policies and procedures, brokerage supervision and management, and handling escrow accounts, among many others.